Dr. Schiappa’s 2918 publication, “Assessing Intersectional Activism Through a Comparison of Two Slutwalks” (available through WAC Clearinghouse here) argues that scholarship on intersectional activism, civic engagement projects, and related criticism, may benefit from differentiating between passive and active intersectionality. Active intersectionality is an engaged, intentioned process that foregrounds the breadths and depths of perspectives within feminist social groups and willingly holds them in a productive tension with one another at multiple levels, including both the imagining of a movement’s work and its actual organization. Her 2015 chapter in This is What a Feminist Looks Like (available on Amazon here) interrogates feminist debates about White Supremacist Feminism in the “Slutwalk” phenomenon, arguing that although some perspectives on the movement productively mobilize "third wave" feminist critiques, others take a hypercritical position that minimizes counter-testimonies and misunderstands how the original Slutwalk Toronto was organized. Dr. Schiappa’s article “#IfTheyGunnedMeDown: The Necessity of “Black Twitter” and Hashtags in the Age of Ferguson” was published in a special issue of the New Afrikan Journal of Culture, Politics and Consciousness (available here), exploring how networked counterpublics use multimodal rhetorical strategies on Twitter. That work affirms Black Twitter’s existence, validity, and efficacy as an online community resisting and disrupting white supremacist culture and news media narratives. 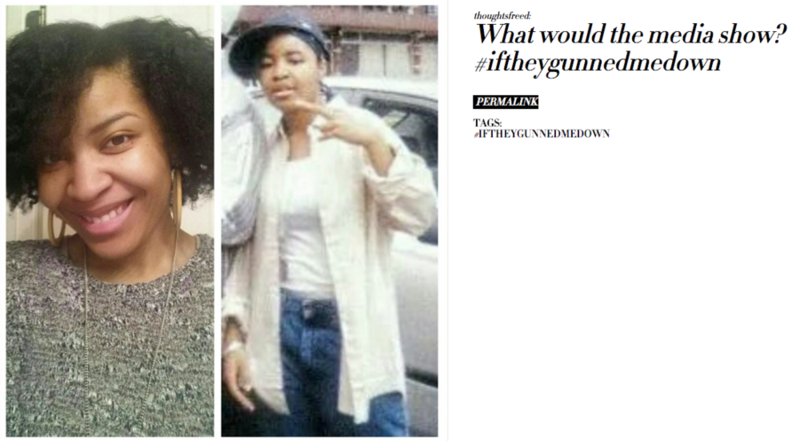 Specifically she reviews Black Twitter‘s use of multimodal hashtag campaigns like #IfTheyGunnedMeDown to rebut mainstream media representations of Black victims of state violence.